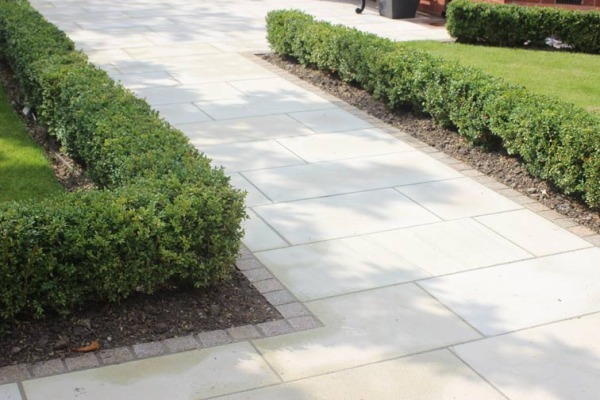 A new slatted timber gate in an established yew hedge opens up into a front garden of contemporary planting and pale sandstone flags edged with granite setts and low box hedging. The clean lines progress through this linear garden with a palette of materials that suit the period property, but also compliment the modern extension. 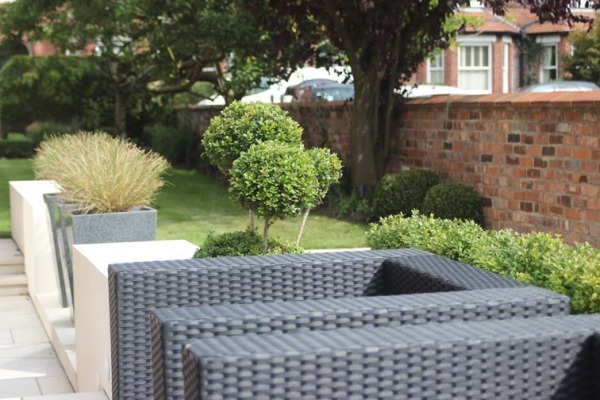 The brief for this garden was crisp and contemporary, while maximising lawn area. 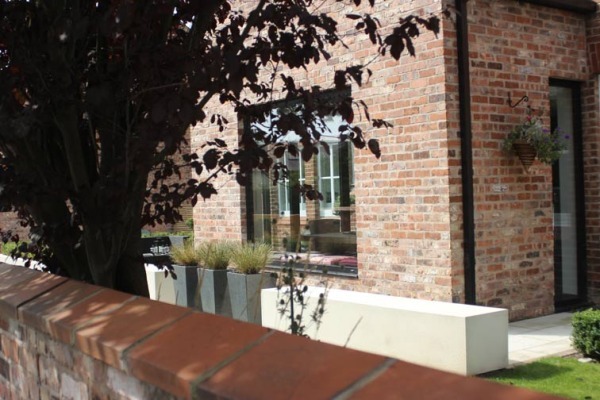 A stone terrace leading out from the new extension is surrounded with rendered walls planted with low box hedge to enclose the terrace and provide a structure within the garden. 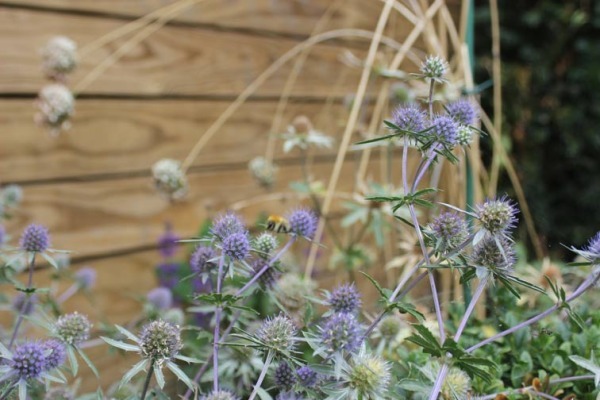 The planting offers a softer layer with ornamental grasses and perennials in shades of silver, blues and purples which dance out from between clusters of box spheres. Subtle lighting throughout creates a pleasant atmosphere in the evening and allows the garden to be enjoyed from inside as well as out. Additional photographs can be seen here.